Five years ago we quietly began a journey to accomplish three things: 1). Make a pair of smart glasses look like regular glasses, 2.) Create an experience on them that is useful and intuitive, not overwhelming or distracting, and 3.) Build a different kind of company to make the above possible.Today, we’re introducing Focals as the first public step of that journey. 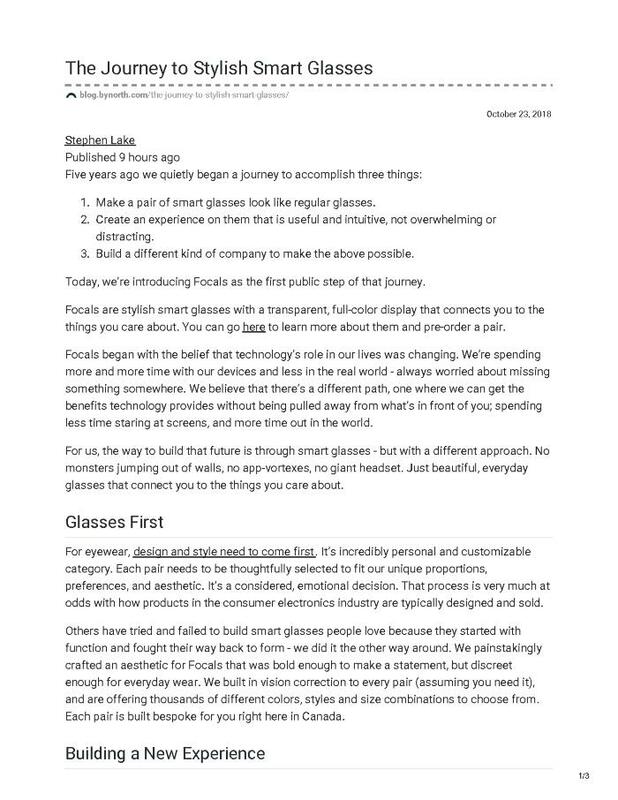 Focals are stylish smart glasses with a transparent, full-color display that connects you to the things you care about. North is a Waterloo, Ontario based start-up, formally Thalmic Labs.